In Terminator 2, Arnie sat astride a leather and chrome Harley that was the perfect fit for his T-800 role. But had the studio commissioned a machine for the liquid metal T-1000, even the most creative Hollywood minds couldn’t have envisioned a bike like this. 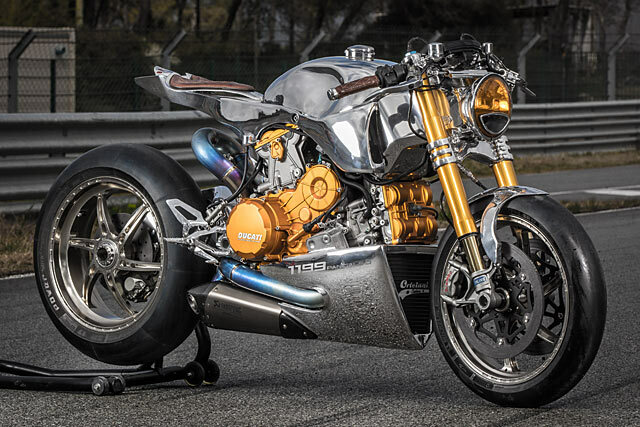 In a 2014 Ducati 1199 S Panigale, you get the same sort of technological leap over the old Fat Boy that the new T-1000 offered up. 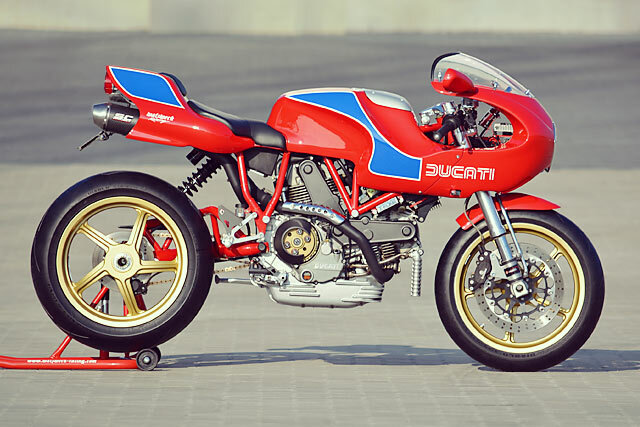 But where the stock red Ducati gets it all wrong visually, this insane alloy bodywork with its liquid-like flow would have scored a Skynet tick of approval. 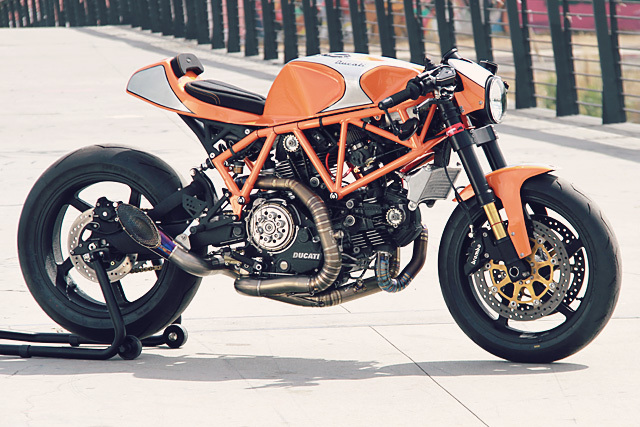 It’s quite literally a killer custom, and it comes to us from the brilliant minds at France’s Ortolani Customs. At the Southern end of Austria and just a yodel’s throw from the snow-capped alps sits a small town called Feldkirchen in Kärnten. It’s home to some gorgeous Austrian architecture, thousands of transient German skiers and NCT Motorcycles – a custom shop of incredible quality and impeccable taste. 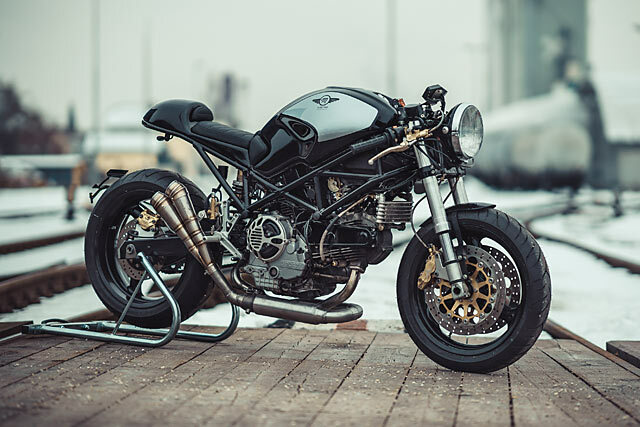 While they most frequently find themselves massaging bespoke BMWs, this time around they’ve diversified and produced this stunningly simple cafe racer, based on a 2001 Ducati Monster 900ie. 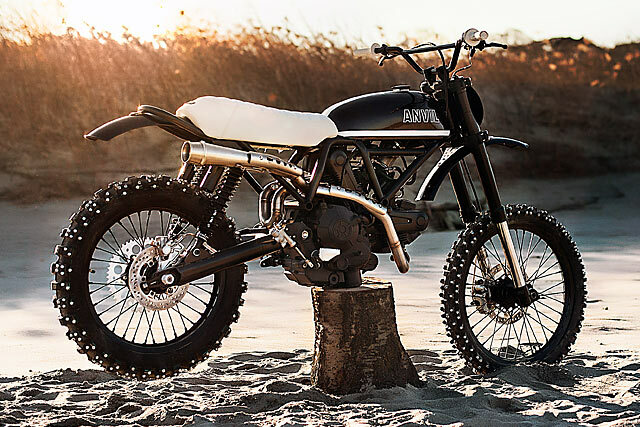 Motorcycle builders often draw inspiration from unusual places. And sometimes it’s hard to keep a straight face as they wax lyrical. 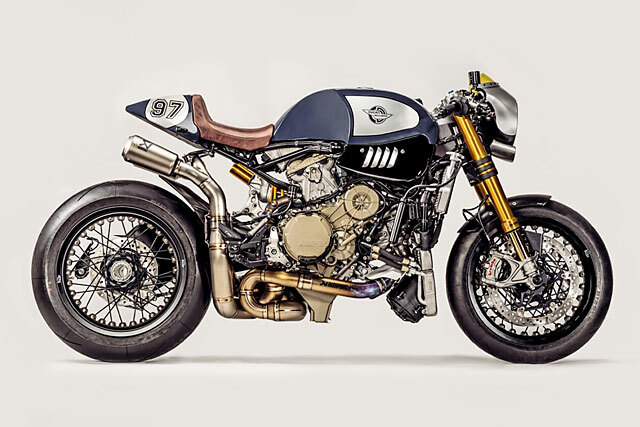 They might reference Cold-war era fighter jets, 80’s Formula One cars or the contents of the local pub’s toilet to explain the curves, colours and context of their latest build. 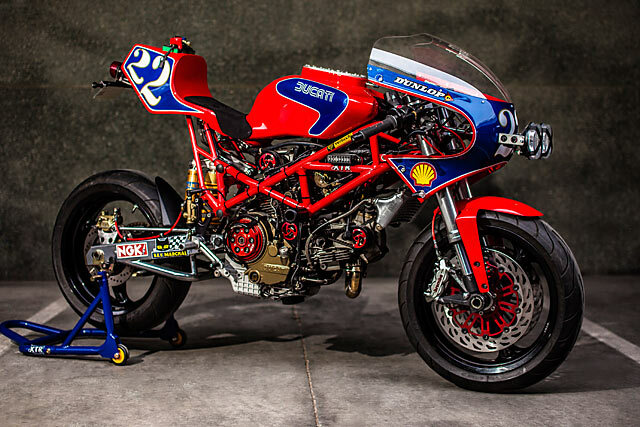 But here’s a refreshingly straightforward one for you – an endurance race inspired 2003 Ducati Monster 1000 by Madrid’s XTR Pepo. 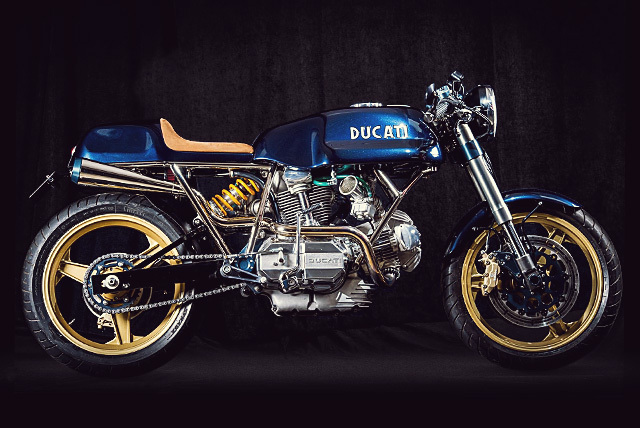 To say the Italian’s know how to enjoy themselves and throw a party is one of the great understatements you can make, so when the 90th anniversary of the much beloved Ducati Motorcycle Company rolled around you knew the annual World Ducati Week was going to be something special. 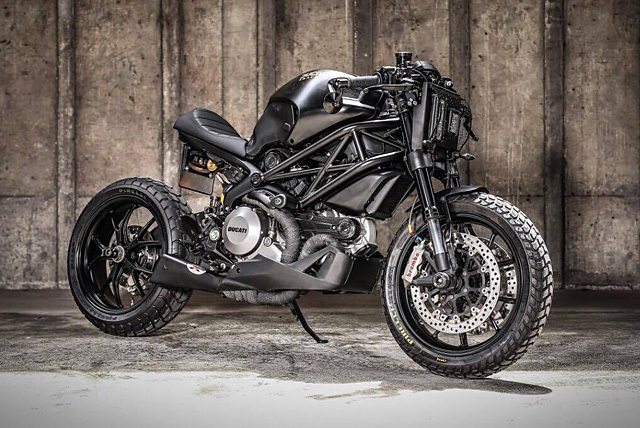 A 90 minute drive from the Bologna factory finds you in the Province of Rimini, where right next to the Adriatic Sea is the Misano World Circuit that hosts the Ducatisti from all over the world for a week of all things Ducati. From new model launches, to the endless track action with past and present GP stars ripping it up to the joys of the new Scrambler Land, just attending the event is a dream come true. 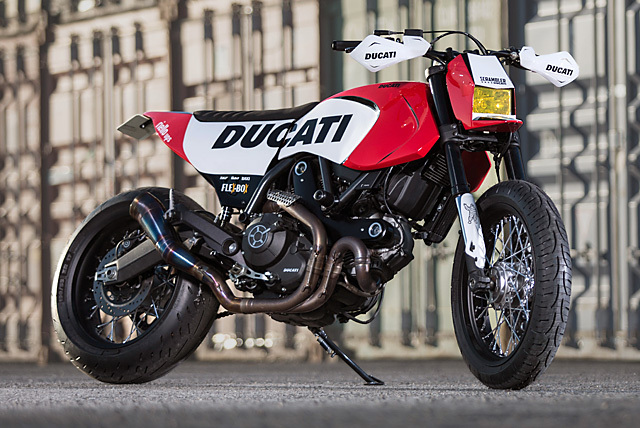 But for Eduardo Iglesias of Spain’s Russell Motorcycles and his team not only were they invited by Ducati to attend the event but given a brand new Scrambler and asked to make something special to wow the crowds.